China has dissolved its national boxing team amidst complaints about rigged boxing matches in the recent premier National Games, announced the State General Administration of Sport on Sept. 7. The State General Administration of Sport is China’s top sports governing body. 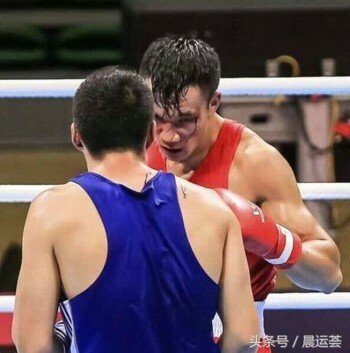 The boxing competition that took place in Tianjin between Aug. 3 and 13 ended in an uproar as several boxing athletes, indignant of the ruling that they deemed unfair, refused to leave the site in protest. Subsequent matches were delayed as a result. The two boxers under spotlight are Wen Yinhang from Hubei Province in central China and his opponent, Tangtilahan, an ethnic minority from Xinjiang, who competed in the men’s 75-kilogram final on Aug. 13. Wen was given a score of 5 to 0 despite many onlookers being certain of his defeat, leading to broad speculation that the match was rigged in Wen’s favor. Wen, an athlete in the national boxing team, was set to compete at the 2020 Olympic Games in Tokyo. In an online recording of the live broadcast on state-run Central China Television, the narrator can be heard jeering at Wen, who wears a red outfit, as Tangtilahan punches him in the face. “Such an overwhelming victory,” he says. The Chinese Boxing Federation rules deny athletes the chance to appeal for a review of the results if the score is 0:5 or 1:4. Similar questions were raised on Aug. 4, when Sichuan athlete Wang Gang defeated Yilanbieke, also from Xinjiang, during the 64-kilogram match. “An investigation has been launched and umpires who are found to have seriously violated discipline will be banned,” the Boxing and Taekwondo Center of the administration said in a statement, according to the English Xinhua. The statement also announced that the qualifications of certain umpires who were allegedly involved would be terminated. In an earlier notice, the administration criticized its Boxing and Taekwondo Center for not handling the issue in a sufficient and timely manner, and ordered an investigation. Meanwhile, Chinese have taken to the internet to express their amusement, and for some, discontent. 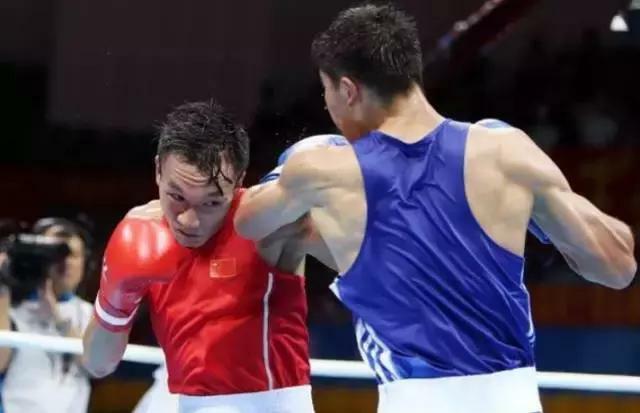 “Wen Yinhang was punched four or five times every round, but he still got crowned with a score of 5 to 0,” one spectator wrote on Weibo, a Twitter-like social media site. Professional sports in China have long been plagued with corruption, doping, and fixed results. Wang Jing, former champion in the women’s 100 meter in the 2013 National Games, got a lifetime ban from running events for alleged doping. In 2009, acclaimed diving coach Ma Yanping quit months before a scheduled competition, stating that the champions had been pre-arranged behind closed doors.